Adidas is one of the most iconic sportswear brands in the world. Its classic footwear designs have stood the test of time, and its teamed up with sporting legends and the biggest names in fashion to bring you the hottest style collaborations around. 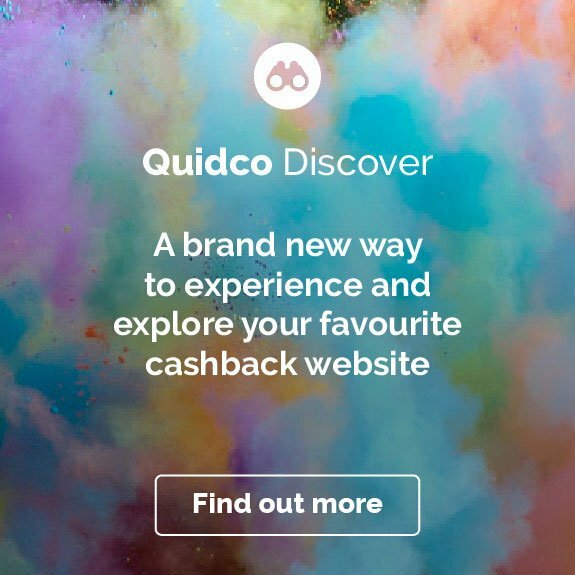 So to browse the largest range of adidas products in the UK and earn cashback on everything from gym gear to new Gazelles, head to the adidas shop online via the links on this page and see how you could make your money go further with Quidco. 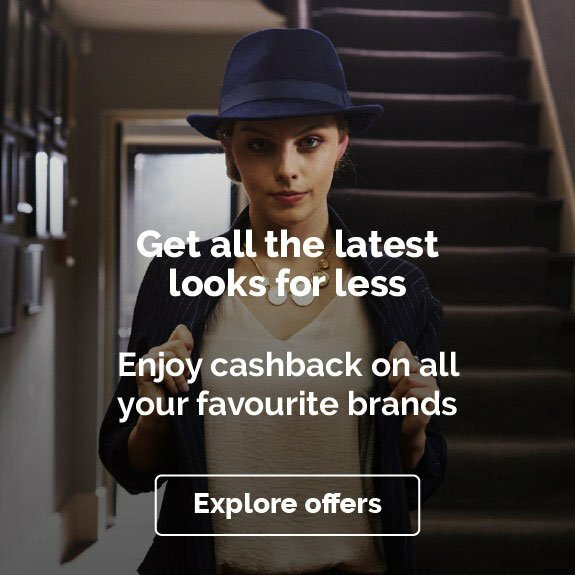 Find out more about shopping with adidas below and how you can make the most of cashback. So you’ve signed up to the London marathon. By this point, you’ll be deep into your training, running regularly and for long distances. The marathon is a test of mind, body and spirit, but that doesn’t mean you shouldn’t have the best gear to help you along the way. Without the correct equipment, running 26 miles won’t only not be as comfortable as it could be, it’s also dangerous. Adidas offer a great range of running trainers and gear to make your marathon as enjoyable as it possibly can be. Still raising money for the big day? Follow the links from this page to the Adidas site and you can donate the cashback you earn to your cause. For the ideal running trainer for both the marathon and training days, look no further than the ‘Adizero Boston 7’. Designed for long-distance running by the Japanese shoemaker Omori, these running shoes have a snug fit, making them perfect for endurance or speed. They’re also equipped with boost cushioning and a mesh top, so they’re ultra comfortable for everyday training. These running shoes go for around £119. If comfort is your main priority when running the marathon this April, then consider investing in pair of ‘Ultraboost 19s’. The knit of these trainers is engineered with motion weave technology. This means they stretch to the motion of your running while keeping your foot snug and in place at the same time, helping to reduce pressure points. The ‘Ultraboost 19s’ go for £159.95. Of course, running isn’t entirely about what you’re wearing on your feet. When jogging 26 miles, it’s imperative that the rest of you is clad with the right clothing. Adidas has that base covered, too. Marathon day is going to get sweaty, so combat your glands with the Adidas ‘Own the Run Tee.’ Available for both men and women, this tee offers a close fit and moves easily with the motions of your body, making for maximum comfort. The tee has ventilation panels placed in all the areas that matter, so you can stay cool and dry while running long distance. You can grab this high-quality t-shirt for £24.95. But remember, be sure to head to the Adidas site through the links on this page in order for your cashback to be tracked correctly. From humble beginnings in Bavaria, Germany to a leading global brand, adidas has innovated and reinvented sportswear since Founder Adi Dassler started out in his mother’s kitchen back in 1924. Since he registered the company as Adi Dassler adidas Sportschuhfabrik in 1949, adidas has been kitting out the world’s sporting elite with those famous three stripes and creating some of the most recognisable designs in sportswear. Now, men, women and kids the world over wear adidas – whether it’s to the gym, the running track or out on the pitch. So to find everything from football boots to clothing and kids’ trainers to tracksuits, head to the adidas shop online through Quidco and see what cashback you could earn on your new kit. Adidas Originals brings that sporting spirit off the pitch or the court and onto the street. There’s a huge range of footwear in the Originals sub-brand to discover for men, women and kids, so you’ll find the style to express yourself best. You could go classic with a crisp pair of adidas Superstar trainers or Stan Smiths. And why not get creative with the online personalisation tool (available on selected styles) to really make them unique to you? You could go for a new pair of adidas Gazelles to add to your growing collection – maybe try out a new colour so you’ve always got a pair to go with your outfit? For a fresh take on a retro design you could check out the latest range of Spezial shoes. Or go vibrant and pick the colours on a pair of Mi Spezial shoes to create your ultimate trainers. For a more minimalist look, the adidas ZX Flux design channels a classic running shoe, with a sleek shape and a versatile selection of monochrome styles to choose from. There’s also the adidas Deerupt shoe for a simple but bold silhouette with a super lightweight feel. The adidas shop is also the place to keep up to date on the latest releases from the adidas and Yeezy collaboration. If you missed out on a pair of Yeezy Boost 350, visit the adidas online shop where you can see release dates for the latest colourways and styles, sign up for updates and check out the Store Finder to stay ahead of the game. Just remember, Quidco cashback is not available on any Yeezy products – so double check our terms and conditions if you’re unsure whether the style of trainer you want is eligible for cashback. Whether you need new gear for the gym or just want to add to your everyday wardrobe adidas has you covered. From classic looks in the Originals range to kit ready for the running track, the best place to find men’s, women’s and kids’ adidas clothing is at their official online shop. Adidas women’s clothing has everything you need for training and your downtime. Explore some of adidas’ most iconic collaborations and all of their most popular collections. Kit out your gym bag with women’s T-shirts to tank tops and training shorts to leggings. And when you don’t want the cold weather to get in the way of your fitness regime, there’s a great range of women’s sweatshirts for running in or just to wear on your warm down. You can also add to your post-workout wardrobe too. How about an adidas dress for a trip out? Or you can keep it super casual with an adidas T-shirt dress for an effortless everyday look. And if you’re all about athleisure, check out adidas’ women’s jumpers and leggings to rock on your rest day. Because every wardrobe needs a hoodie or a jumper – whether it’s to wear on that walk home from the gym or just to lounge around in – adidas has a great range to help guys layer up too. Mirror your active wear in your day-to-day wardrobe with an adidas sweater or jumper from the Originals range. Or complete your training look with an Essentials adidas hoodie. Kids have a huge range to explore too. There’s everything they’d need to wear to their weekend sports clubs or football practice – from adidas training pants to tights and shorts to swimwear. 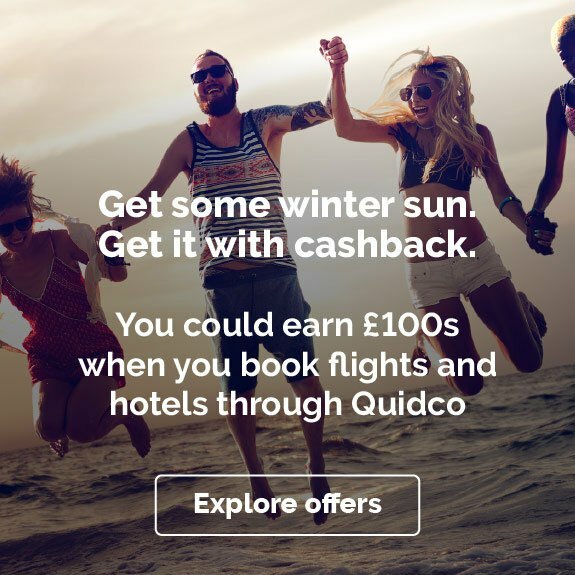 And you could pick up all their holiday essentials and everyday pieces too, with a great selection of dresses to T-shirts and football jerseys that you could earn Quidco cashback on. Whatever your passion, you’ll find the right footwear from adidas online. Whether you live and breathe football, love nothing more than heading to the skate park or can’t wait to push yourself weightlifting at the weekends, adidas has the shoe for you. Adidas has been a pioneer in football boot technology ever since the brand unveiled their lightweight boots with screw-in studs back in the early 1950s. So if your love of the beautiful game takes you out onto the pitch, adidas’ football boots have got you covered. You can shop men’s, women’s and kids’ boots by surface, so you’ll find the right boot whether you’re out on the pitch, playing on turf or having a kick about indoors. And you can browse by collection too. For timeless black adidas football boots, check out the Classics range where you’ll find the adidas World Cup Boots and more enduring styles to add to your kit. Or for cutting-edge laceless boots, ranges like Nemeziz and Predator are ones to explore. And if you’re all about coordinating off the pitch, adidas has a range of football shoes that are designed to reflect the boots you wear during the match. Visit adidas’ Football page online to see the full collection and find the boot that matches your playing style. Rugby players have a great choice of boots too. Designed with soft ground conditions in mind, adidas’ rugby boots range has got the style to play to your strengths – whether you need Predator Malice rugby boots, with asymmetric laces to hit that kicking sweet spot, or Kakari boots for extra ankle stability. Or if you come alive on the court, adidas has the right basketball shoe for you. Whether you need grip, support or a shoe to aid your agility, adidas’ basketball shoes have a design to suit your playing style. So why not browse by technologies to shop high-tops to low-tops so you can stay on top of your game. Ever wanted to own custom adidas shoes? Now you can create your own with miadidas at the adidas shop online. To design your own adidas trainers click the Design Your Own Shoes link on the website. Here you get to be the creator of your own kicks, and there are three ways to get started. Click Choose a Creator to get inspiration from influencers, musicians and artists, so you can see the possibilities on miadidas. You can click Pick a Theme to explore the different textures, colourways and fabrics that you can work with. Or if you’re feeling really creative, you can make your own by clicking Start with a Blank. On this page you choose a silhouette to use as your blank canvas – you can pick anything from a Gazelle to a Stan Smith – then click Customise to start exercising your imagination. So if you want to create custom shoes for you or for a unique gift, remember to check out the links on this page to see what cashback you could earn on your own designs. Once you’ve added your custom miadidas trainers to your basket or found that perfect pair of football boots, it’s time to choose your delivery option. There’s a great range to pick from, including free Click & Collect, Standard Delivery and Express Delivery. And you can find out more about all of their delivery methods in the Support section on the adidas website. The Support section will also tell you everything you need to know about returns, should you need to send an item back. Just click Returns & Refunds to see a selection of frequently asked questions that cover everything from how to send an item back to adidas’ returns policy and whether you can exchange an item. Need some extra inspiration? Here are a few ways you can make the most of your online adidas shop and earn Quidco cashback on all the latest gear. Love staying ahead of the game? You could shop for all of adidas’ new releases to keep your sportswear looking fresh. For all the latest pieces, from new adidas trainers to football strips, just click New Arrivals to discover everything that’s just landed at adidas online. And if you really want to score some style points, you can check out the release dates of all the new adidas shoes that are about to launch. Starting a health-kick, or maybe you just want to refresh your training gear? You could get kitted out with all the latest gym wear from adidas. Why not start out with a new adidas backpack to carry all your training essentials to the gym? Or you could go for a versatile gym bag like a drawstring gym sack if you need something lightweight to carry straight from work. There’s a great range of bags to discover, from women’s gym bags to men’s, so you’ll find the style that’s right for you and your workout gear. Now you’ve got the bag sorted, it’s time to start filling it. Kick things off with new gym trainers to suit your workout style – whether it’s weightlifting or light cardio. Then you could check out all the women’s and men’s gym wear that adidas has to offer. You can bag everything from form-fitting gym tops to gym T-shirts designed to give you freedom of movement whatever your exercise of choice. Next on your gym clothes tick list; workout pants. For those high intensity training sessions, you could pick up a new pair of gym shorts or leggings. Or if you prefer a looser fit, you could go for track pants or joggers. And don’t forget those important extras like a sports bottle to keep you hydrated or gym gloves to keep your hands protected during reps.
Adidas’ kids’ range has something for all age groups. From toddler shoes to youth tracksuits, kids have a great choice of trainers and clothes to help them get active. You can shop by adidas boys or adidas for girls and then break it down by age bracket or sport. For babies and toddlers, adidas has everything from mini Sambas to Superstars for kids. You’ll even find hoodie sets to keep them cosy in winter and T-shirt sets for their holiday wardrobe. You can also shop the kids’ range by brand, where you can discover little versions of your favourite adidas Originals, like Gazelles for kids, to performance gear they can wear to their weekend sports club. And in adidas’ kids’ shoe range, you can also search boys’ adidas shoes or find shoes for girls to help them find their unique style. If you’re taking a break from training and heading to hotter climes on holiday, you could shop for all your beach essentials at adidas. There’s a great range of adidas swimsuits for women, including sleek swimming costumes and bright and bold bikinis. And for guys, you can choose from adidas swim shorts to fitted swim boxers and trunks. To get you to the beach, or just to chill around the hotel in, you could pick up a pair of pool slides too. Adidas’ slides and sandals are available for adults and kids, and they come in a great selection of colours, so you can choose the style to match your beach look. To complete your look, you can accessorise with everything from adidas socks to sunglasses. You can shop men’s socks to pick up classic ankle socks or your favourite football team’s home or away socks. And there’s a great choice in the women’s department too, with knee socks to liners in a wide selection of styles and colours. You can also pick up that all-important gym bag to keep your kit in, with versatile shoulder bags and duffle bags that will carry all your essentials. Or if you’re looking for an everyday adidas bag to take your laptop to work in, why not check out adidas’ backpacks for a practical and stylish solution for your commute? And to top off your outfit, adidas’ caps and hats range has got you covered. For a chilled out day-to-day look, why not go for an easy-going baseball cap to give your outfit that laid-back finish? Or to keep you cosy in cooler weather, an adidas beanie is the perfect way to stay warm and rock your favourite brand. If you’ve never shopped with adidas before, here are a few frequently asked questions that might clear up any queries that you have. Adidas was founded in 1949 when the company’s Founder, Adi Dassler, registered the brand as Adi Dassler adidas Sportschuhfabrik in Herzogenaurach, Germany. Where is my Adidas order? Once you’ve made a purchase at the adidas online shop, you can track its status with their Order Tracker. Just click the link on the website then enter your order number and email address to see the progress of your delivery. Delivery costs and the time it takes for your package to arrive will vary depending on which delivery option you select at checkout. Click the Delivery link in adidas’ Support section online, where you can find out more about the available delivery options, the cost of each one and the estimated delivery time for each method. How can I find my nearest Adidas store? If you’ve chosen Click & Collect as your delivery option and need to pick up your order from a specific adidas store, you can use the adidas Store Finder online to help you find it. Just click the link on their website and the Store Finder can either use your current location to show you the nearest shop, or you can enter your postcode or city to find a store that’s convenient for you. 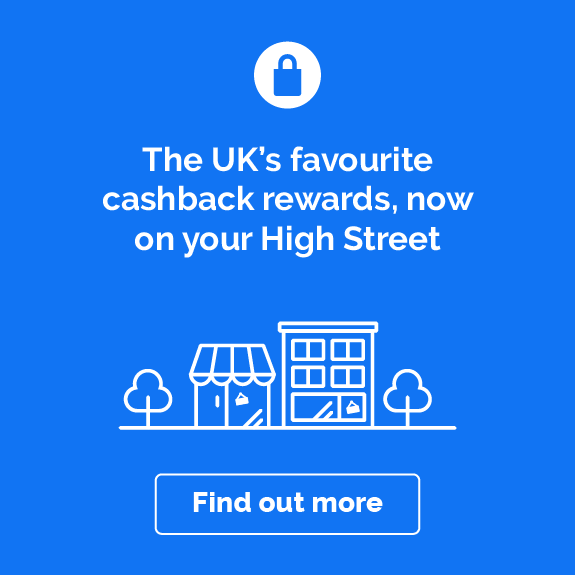 Just remember though, you can only earn Quidco cashback on items that you buy from the adidas shop online and not in-store, so if you do purchase anything in-store, you won’t earn cashback on those items. 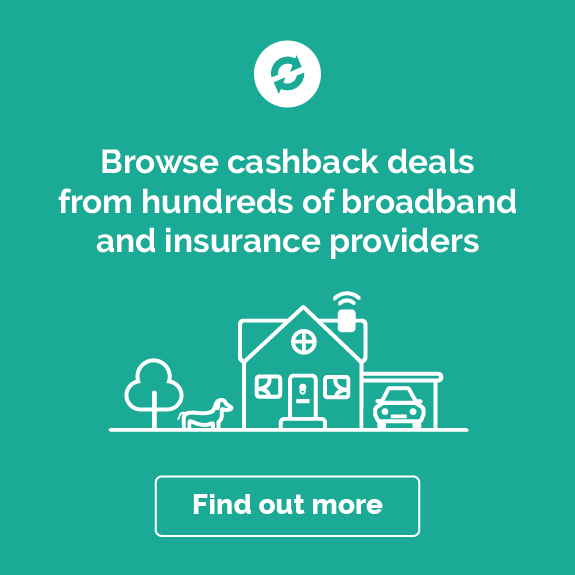 Looking for more great cashback deals from big name sports brands? Check out our deals with Nike Store, Reebok Store, Sports Direct and JD Sports.